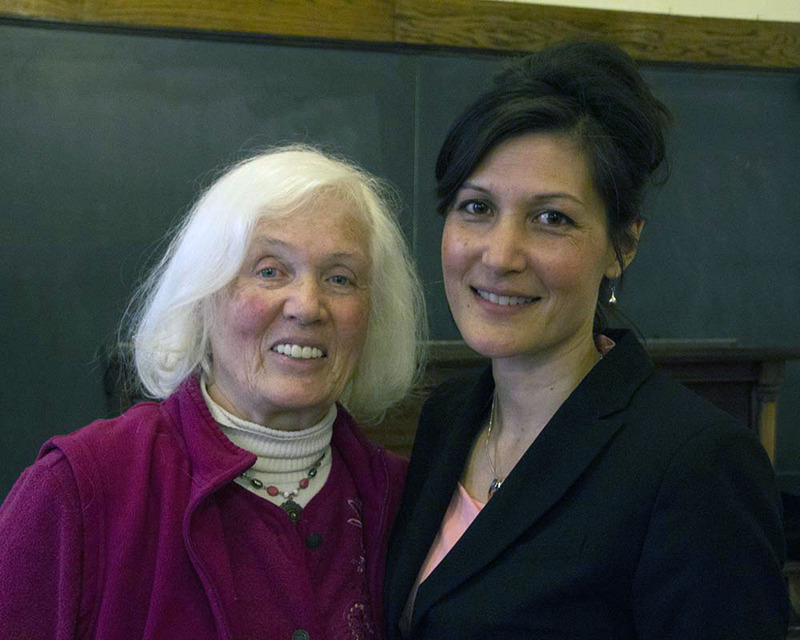 The wonderful March 13 Academy Forum was presented by Linda Tu’s daughter, Christine Tu. 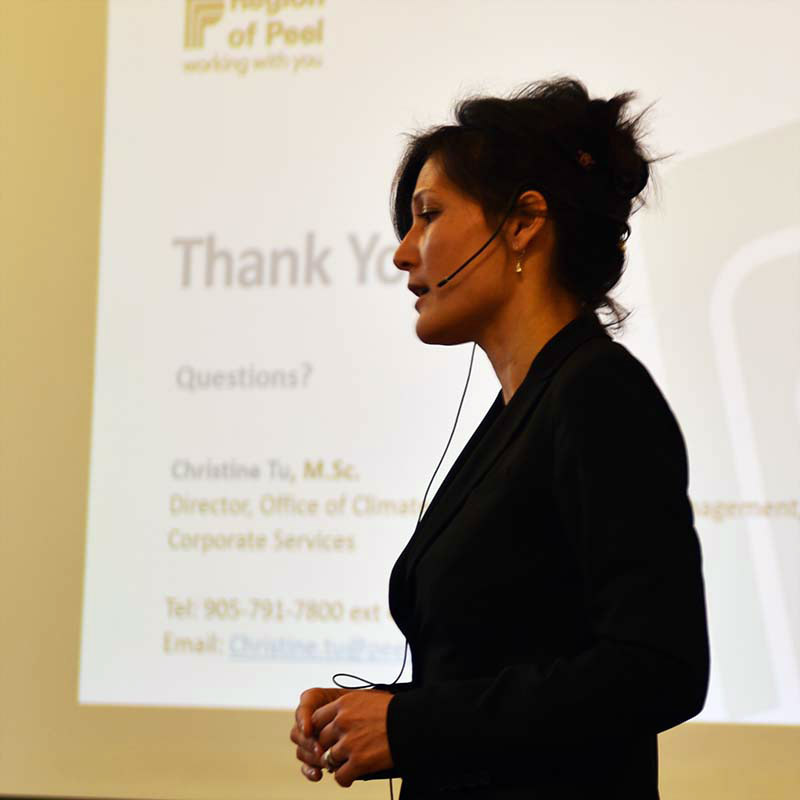 Christine is the Director of the Office of Climate Change and Energy Management for the Region of Peel and her presentation was thoughtful, fact-filled with excellent graphics, and challenging. Christine showed us a real-time climate clock which monitors the time we have left before the earth’s temperature increases by 1.5° C, a point after which we will have little control of climate change. The clock gives us 15 years. 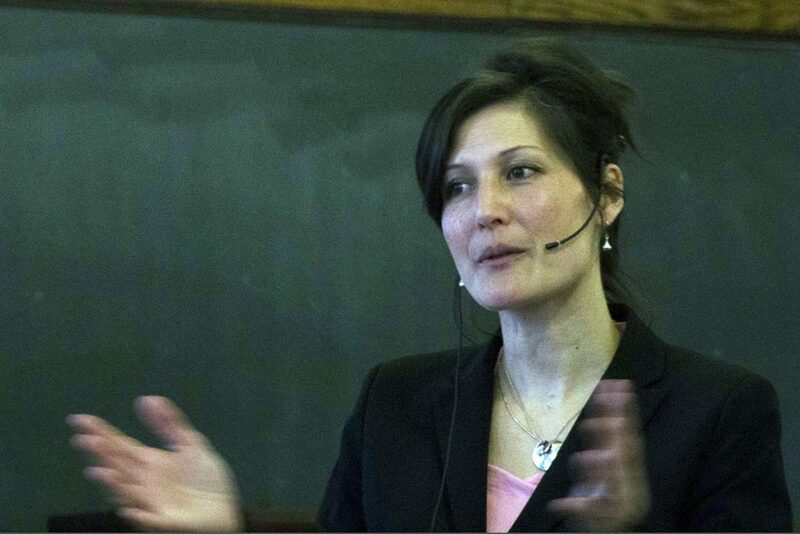 After telling us that science continues to find conclusive evidence of man-made climate change, Christine talked of the effects of global warming: ocean acidification, sea level rise, desertification, Arctic sea ice loss, and increases in hurricanes, flooding and forest fires. She stated that “abnormal is the new normal” and warned that the world needs a reduction of 45% in the burning of fossil fuels by the year 2030 if we are to have any control over the changes in climate. There are possible scientific solutions to the problem of climate change such as fertilizing the oceans with nutrients to remove carbon dioxide from the atmosphere, or reflecting the sun’s light back into space, but we don’t know what the unintended consequences of these and other such techniques would be. A much better solution is to wean ourselves off fossil fuels. The acceleration in climate change is disturbing, but Christine left us with some optimism by describing the leadership of the 16 year-old Swedish student, Greta Sundburg, who is mobilizing young people around the world to get active in the fight for action against climate change. 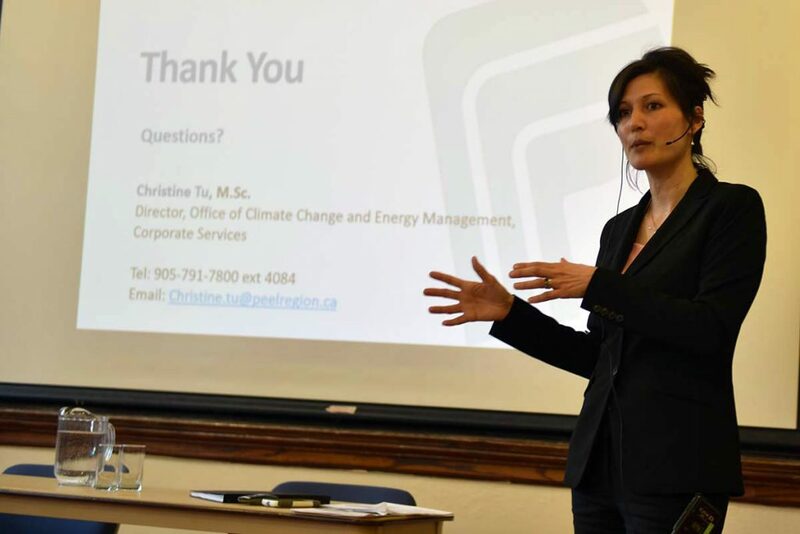 Christine urges all of us to go on the website of the new Environmental Registry of Ontario (ERO) where the government will post notices for policies, acts and regulations relating to the environment in Ontario. It provides a portal for public input into these issues and the website suggests that our comments are welcome. The new PC government is moving very fast with changes and we need to remember that as residents of Ontario we have the right to express our opinions.